Of all the world’s serious disease and modern-day maladies none is so dreaded as cancer. There is a very good reason for this; for it is the unknown cause(s) of cancer that often keeps those who suffer from it in the state of fear, or anxiety, or worry. Every illness under the sun finds the true roots of its etiology in the human psyche, the human emotions, and the prevailing mental state of the individual. It has often been said that the root causes of cancer are of a spiritual nature; hence, it is a disease from “on high” — a wake up call directly from the divine. In the case of cancer we see a very definite mental condition and emotional profile which can predispose the person to manifesting various forms of tumors, cysts, fibroids, sarcomas, carcinomas, as well as various malignancies of unknown origin. Clearly the emotional and mental components of the disease process known as cancer loom large in determining the direction of its evolution. VERY large! Why, and how, is this the case? It has often been identified by medical intuitives over the last many decades that those who suffer from cancer present a very similar risk profile. This risk profile not only includes phenotype and genotype, diet and pharmaceutical regimen, exercise routine and sleep pattern, lifestyle and workstyle, marital status and healthy relationships, but many other key indicators as well. Perhaps one of the most important of those other determinants includes one’s emotional comportment, and especially the degree of contentment that one allows him or herself to experience on a regular basis. All of us suffer from the human condition known as unresolved grief from time to time. 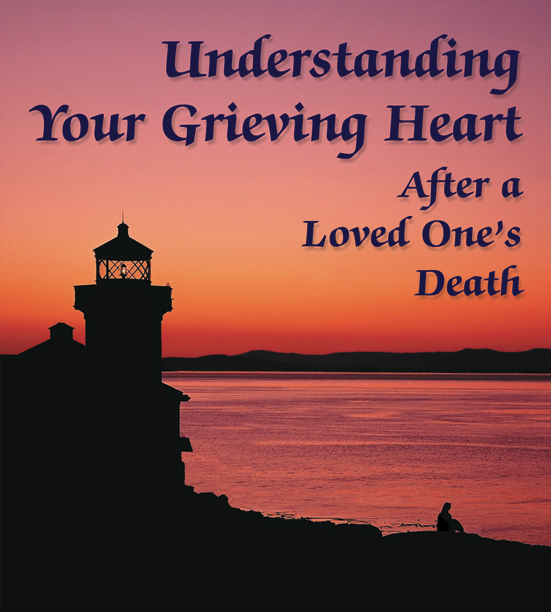 We are not just speaking of the grief that is usually associated with the loss of a loved one. We are speaking of the grief that is associated with living life on planet Earth, especially over the past one hundred years. Life has become very complicated. Just managing a home has become very complex. Maintaining happy and healthy relationships can also be very challenging. It has never been so easy to become attached to so many things that come into our life. Also, the depth of attachment to so many of these things has never been so profound. Each of these strong attachments — sooner or later — sets us up for a loss of some sort. You can see how the preceding list can go on and on and on. The instances in life where we experience loss, and then grief, are virtually endless. Each of us reacts differently to these various kinds of loss. Much more significantly, each of us experience our own form of grief which we then take through our own unique process until we come out the other side more whole and compassionate and human. However, there are times when we are not so successful at working through the many types of grief which can take us over. In these instances, depending on how deep and the very nature of the attachment, we might be plunged into the depths of despair which causes us to lose our interest in living. Not that we are suicidal, but that our very raison d’être might be shaken. The degree to which we allow ourselves to be seized by this emotion called grief is often at the very core of the many different types of cancer which have proliferated around the globe. Especially throughout the highly industrialized Western nations do we see this dynamic at work, where there appears to be LOTS to gain, and LOTS to lose. There are so many things to both acquire and lose in the course of one’s lifetime that opportunities for loss and the consequent grief often sneak up on us unaware. When we find ourselves stuck in a groove of grief and despair for a protracted period of time, our entire biochemistry changes in profound and fundamental ways. These changes are not for the better, and will create a very conducive environment for the pathogenic micro-organisms (especially viruses) and toxicities to accumulate in which cancer originates and thrives. Western Civilization in particular is often a very go-it-alone type of existence. Feelings are frequently kept inside and not expressed or released in a healthy way. As the nuclear family continues to fall apart, and society breaks down, there are fewer and fewer support systems found in the community. Given these unrelenting developments, it is incumbent upon each individual to figure out how to best process all of life’s little and big griefs. Some of us do well with this side of life; either we live life in a detached and dispassionate manner. Or, we quite efficiently move through life’s ups and downs as though we are riding an exhilarating roller coaster. Others are not so fortunate as their destiny calls for a karmic and formidable health obstacle (read: opportunity) which will teach them and strengthen them … in ways that only cancer can do. Truly, there is nothing like cancer to challenge us in the ways that are ultimately for our highest good. Cancer is always a matter of several co-factors operating interdependently. Of course, there are many other significant co-factors which can heavily influence the development of cancer. The amount of pollution in one’s living environment is just one of those major co-factors. Continual environmental exposures especially can contribute to both the type of cancer and the severity of the case. 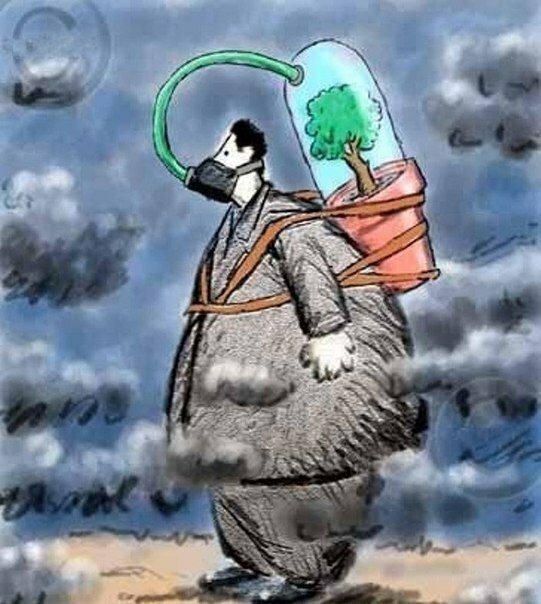 The many different types of environmental pollution eventually end up accumulating inside the body. Those organs and tissues that become the primary sites of bio-accumulation then become compromised and weakened. Pathogenic micro-organisms, especially viruses, have been found to be at the roots of almost all forms of cancer. Each type of virus is drawn to a certain type of bioterrain and cellular environment. Furthermore, certain kinds of contaminants and toxins may concentrate within an organ or tissue or limb which then draw a cancer-causing virus. The longer these pathogenic micro-organisms find a home in a certain part of the body, the greater the likelihood they will trigger the growth of pre-cancerous cells. And if left unaddressed, full-blown malignant carcinomas can then eventually develop. If allowed to metastasize, the cancerous cells can become systemic and transported to virtually any part of the body. This preceding discussion represents a very simplistic tracing of the trajectory of cancer. In reality it is the prevailing mental state and emotional comportment which set up this whole process. Particularly in the wake of an unsettling loss which has created a prolonged period of unresolved grief … followed by deep resentment … and ending up with pent-up anger, or even rage. Our feelings permeate our mind, our body, our heart and our entire being. When negative feelings of grief, or resentment or anger, are allowed to concretize, they will do so in those organs or tissues that “correspond” to the nature of the loss and type of grief that is being experienced. The various parts of the body literally magnetize the toxins and pollutants, which will then create a suitable home for the corresponding pathogenic micro-organisms. Over time, these will then sufficiently degrade the internal environment until cancer becomes a likely outcome. Sometimes they will reverse direction and the cancer will go into complete remission. Sometimes the soul will be challenged by the many ups and downs typical of many allopathic cancer therapies, which will serve to strengthen character and increase spirituality. Other times it may serve as a doorway into the next realm. In every case the various scenarios will play out until the karmas manifest according to one’s destiny. No matter what does or does not occur, in each and every case the outcome is always perfect. In other words the individual will always be given an opportunity to resolve the grief which plagues them, whether that be in this lifetime or the next one. Ultimately, the soul will learn that the Lord giveth, and the Lord taketh, according to His plan. The sooner that we realize that there is truly nothing to be attached to in this earth plane of existence, the sooner we will be freed from all forms of loss and therefore all forms of grief. Then there will be no reason for resentment to take over our lives, or anger to lodge in our bodies. Certainly there are many karmic components to both the development and resolution of cancer which are way beyond the scope of this session. We have offered just one observation which may be applicable to many souls who resonate with this profound issue of longstanding and unresolved grief. Because the correlation of “loss and grief” are fairly easy to identify, and therefore easy to address by a self-aware soul, this discussion has hopefully shed light on the matter. The experience of many a cancer survivor reveals a similar pattern in its evolution and resolution. Particularly with regard to the many emotional ups and downs do we see striking similarities and correlations. Most of the success stories appear to be directly related to the level of spirituality which one is practicing throughout the entire disease process. The more spiritual one’s outlook truly is, the greater the likelihood of experiencing a permanent cure. As one accepts God’s will in their life, nothing can really go wrong. Even if the cancer worsens, the mature soul knows that all will be well. Sometimes it is a case of three steps forward and two steps back. Sometimes the cancer goes into remission for a week, a month or a year. Nevertheless, the soul growth for one who is attentive to the “Hand of God” is always in the direction of the expansion of consciousness and self-awareness. The challenges of cancer on the mental, emotional, psychological and spiritual levels are usually so great that these different components ought to be understood and worked with however possible by the individual. The more that every cancer sufferer understands how their general emotional disposition and mental condition affect the state of their body, the more likely things will progress in a positive direction. The immune system is especially responsive to the predominant feelings and emotions, thoughts and imaginations of a person living under the stress of fighting cancer. Therefore when these are watched carefully, and replaced when appropriate with the highest affirmations, the road to remission is often paved. Difficult to do at first, yes! But once the individual is able to really “Let Go and Let God” grace enters the picture and healing can even occur spontaneously. 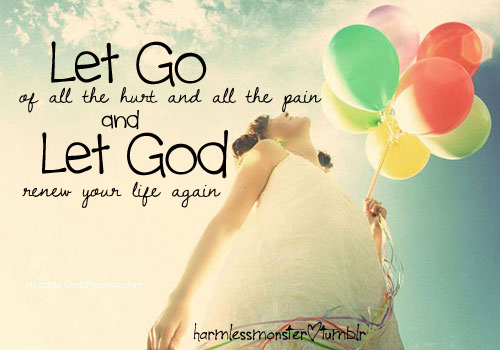 “Let go and let God” has never been more relevant, necessary and downright powerful than in the case of holistic cancer remediation. No matter what type of cancer a person may have, or how advanced it might be, try this vital and life-affirming affirmation for your highest good. It may just change your life — and then rid your body of cancer — in ways that many would say were miraculous. There is nothing like the practice of meditation to throw the light of awareness on all that grieves us. Meditating once a day allows God’s grace to literally wash away all that binds us to this world. Desires, delusions, and despairs are just some of those inner enemies which can bring us down long enough where they do some damage. Therefore, if we take some time daily to go deep inside, we increase the chances that cancer-producing thoughts and emotions will be cleansed and eradicated. Just as there has been an explosion of the global population on Planet Earth over the past century, various human beings have somehow chosen to reflect this phenomenon whereby cancer cells divide (read reproduce) uncontrollably. The uncontrolled growth of certain cells in their body, which is symptomatic of cancer, is really sending them a message. What is that underlying message from the Universe? Each individual is illustrating on the microcosmic level a sentiment which is being expressed by many of us. Their physical adversity serves to not only uplift themselves to a much higher level of consciousness, it also serves to remind them as well as all of humanity that, while we are all ONE, we are also MANY. Perhaps we are getting to a point as a human race where we are simply becoming too many. Our home planet is only so large and can accommodate only so many inhabitants. How many of us have already had the visceral and graphic experience of the incessant and sometimes horrific loss of our precious planetary environment? And, especially, who has not experienced the grief and despair that will often follow such experiences. The enlightened among us, however, will transcend even this loss of our only home — Mother Earth — and eventually let go of whatever grief emerges. Medical science has proven that there are a variety of physical triggers that contribute to the internal environment for cancer to thrive in. For example, the vast majority of cancer patients were found to have root canals. Exposure to radioactivity in the environment is also a major cause/cofactor for the development of cancer. The polonium found in cigarette tobacco, for example, has had an enormous impact on lung cancer rates. Why is so much lung cancer linked to radioactive polonium? Then there is the long-term condition of the bioterrain which can also have a profound impact on the emergence of different types of cancer, as well as their exacerbation. Lastly, there is an ever-increasing body profile which reflects a New Age health condition known as Hyper-Toxicity Syndrome. Because the profile of the human body will always reflect the environmental profile of any given geographic area, it is now understood that some of the most commonly found local air pollutants and water contaminants will bio-accumulate in the residents of that locale. When not properly detoxified by the liver and lymphatic system, they can contribute to a state of hyper-toxicity when the lifestyle is not balanced and wholesome. Particularly when the diet is made up of processed food, unhealthy beverages and food that is not organically grown, will the likelihood of Hyper-Toxicity Syndrome increase. Previous articleCan Russia’s Magrav Technology Thwart The Upcoming Stealth Attacks By The American-Arab-ISIS Coalition?